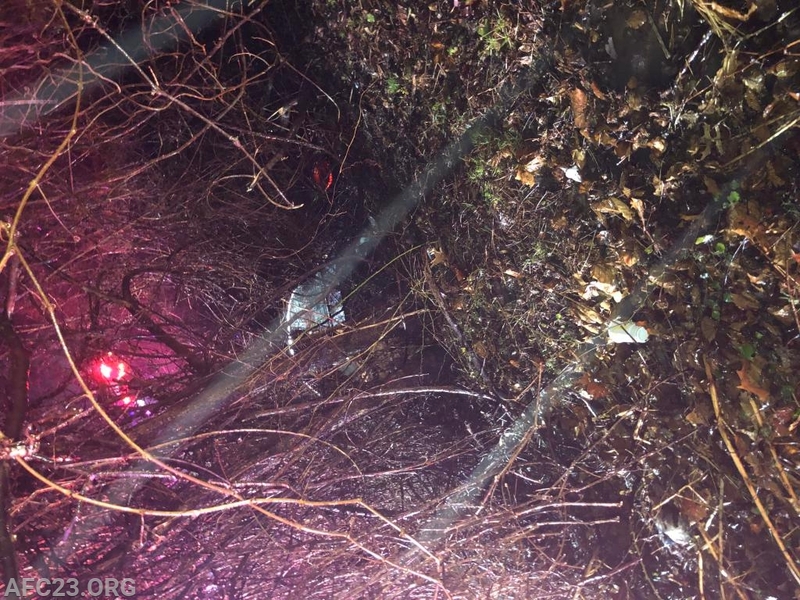 The Avondale Fire Company was dispatched to the 1100 block of Baltimore Pike for a reported auto accident at 23:55 hours on Saturday night. Chief 23, Ambulance 23-2 and Rescue 23 all responded quickly after dispatch. 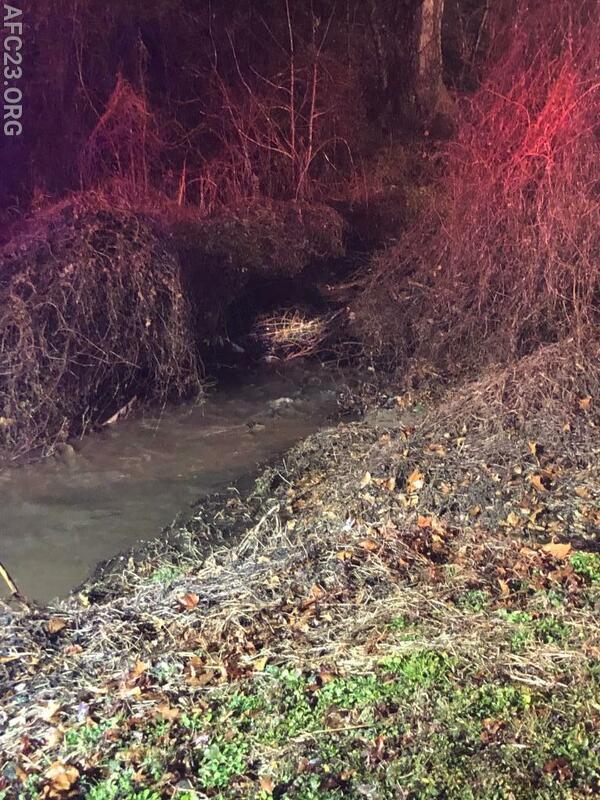 Shortly after responding, the Chief was given information that the police department arrived to find one vehicle in a creek with the occupant still inside the vehicle. Ambulance 23-2 along with the Chief and Fire Police Lieutenant arrived and confirmed the report. 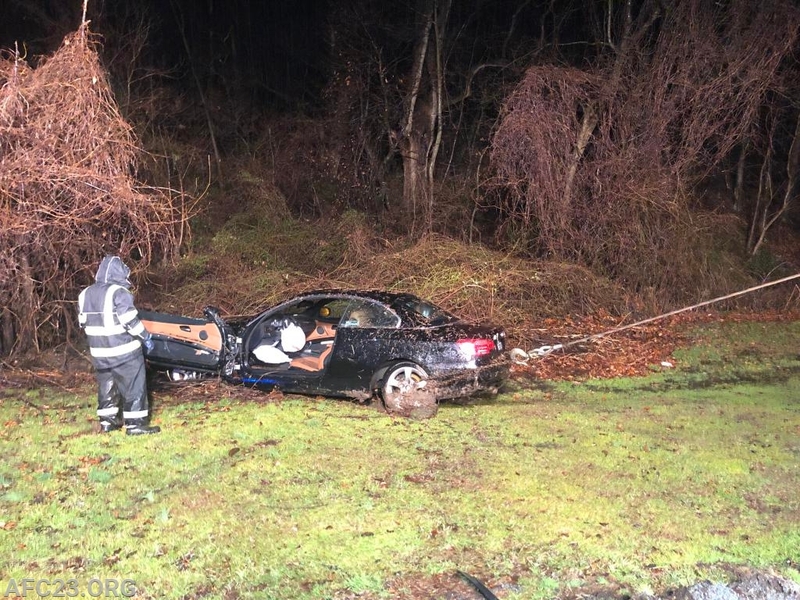 The victim was removed from the vehicle that was in the rushing water. Crews provided lighting and took care of hazards. No injures occurred during this incident. Final units cleared at 0114 hours. 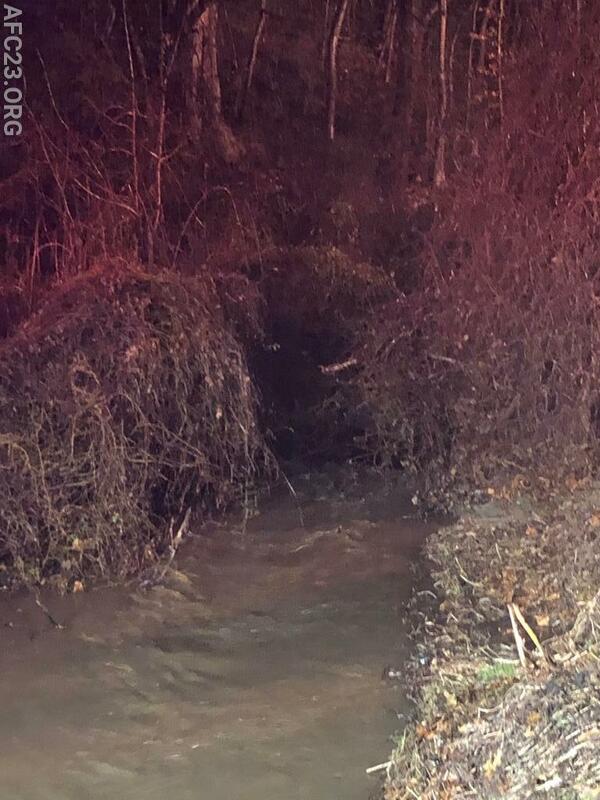 The rushing water where the vehicle was located upon arrival. Tow company removing vehicle from the trees. The vehicle in the water and trees.